Various photos from various states that aren't covered elsewhere in Highway Photography. Unless otherwise noted, all photographs were taken by the webmaster. Interesting picture. 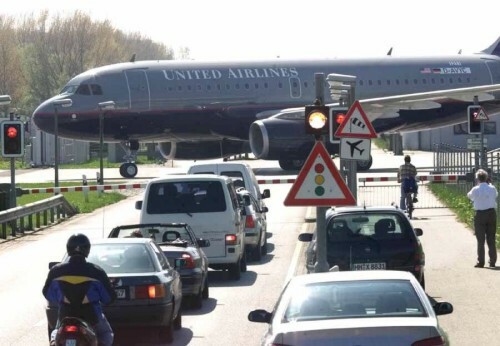 I don't recall who sent me this photo, but this is at the airport in Hamburg, Germany. Thanks for the tip, Sebastian! 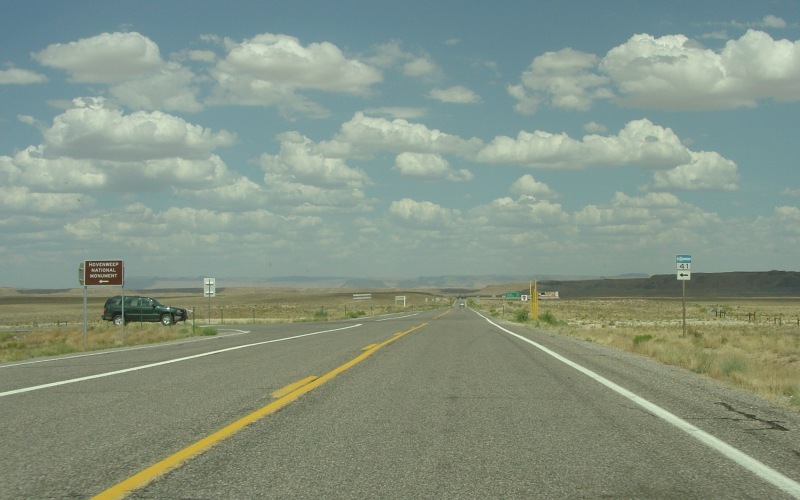 Eastbound US 160 at the CO 41 junction, near the Four Corners. Photo taken August 1, 2005. 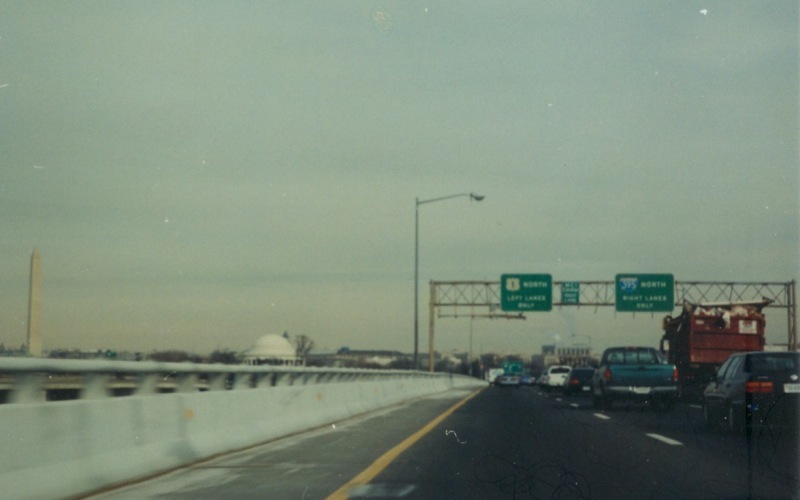 Northbound on I-395/US 1, crossing the Potomac River into Washington D.C., with both the Washington Monument and Jefferson Memorial on the left. Photo taken in 2000. 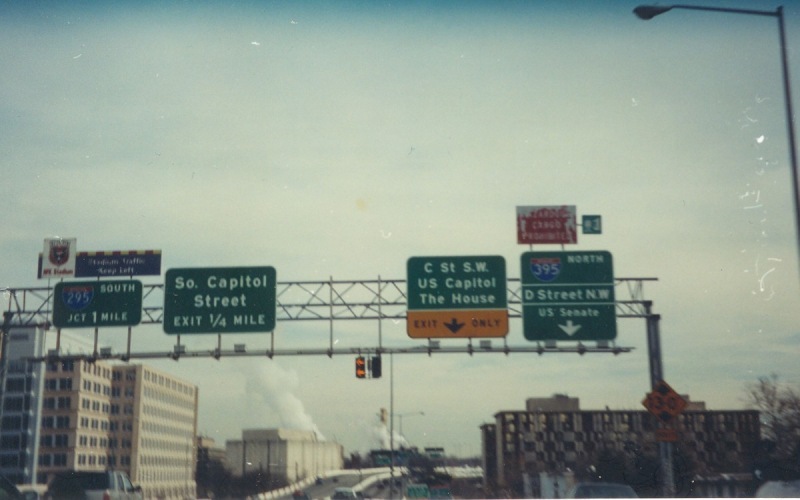 Still northbound on I-395, at the point where it follows its own exit off the Southwest Freeway in Washington D.C. Photo taken in 2000. 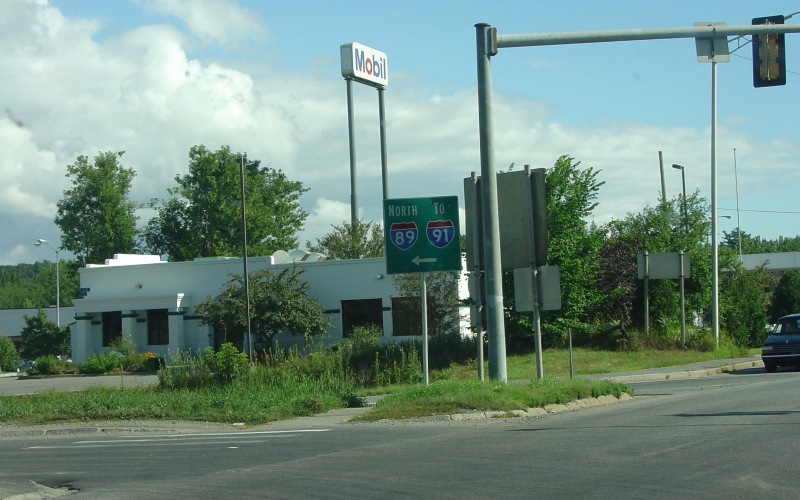 A sign at the start of the on-ramp to northbound I-89, as seen from northbound NH 12A. Photo taken August 6, 2004. 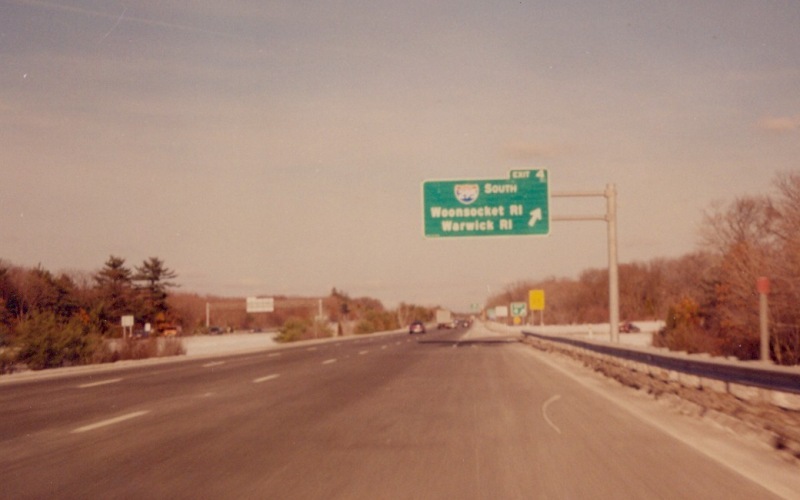 Northbound on I-95 in Attleboro, MA, at the loop to southbound I-295 which loops around the Providence, RI area. Photo taken January 3, 2001. 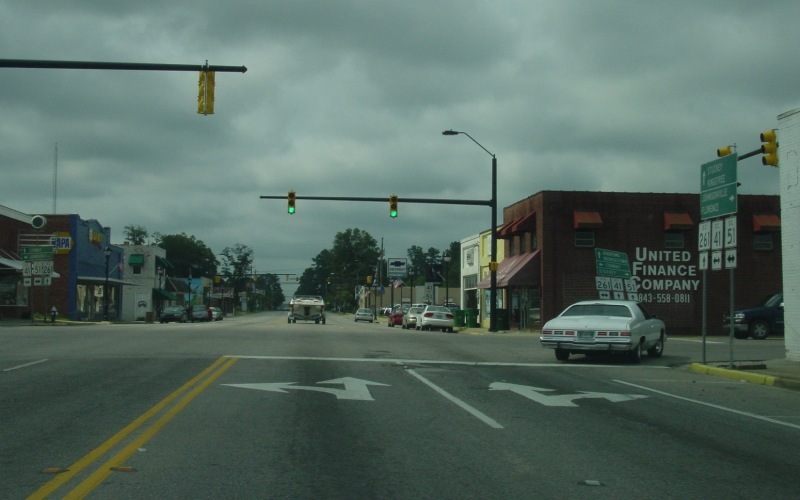 Southbound SC 41/SC 51 at the SC 261 junction in Hemingway, SC. Photo taken August 5, 2003. 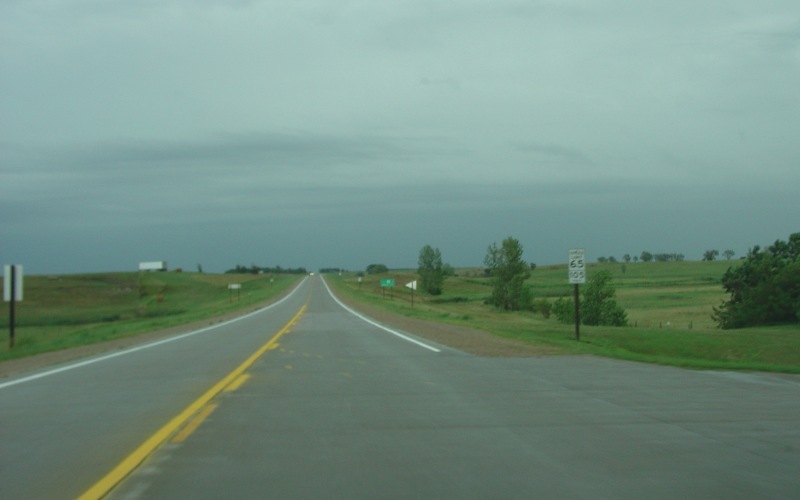 An odd speed limit sign, in that it includes the limit in km/h, on eastbound US 14 just east of Wessington, SD. Photo taken August 3, 2005. 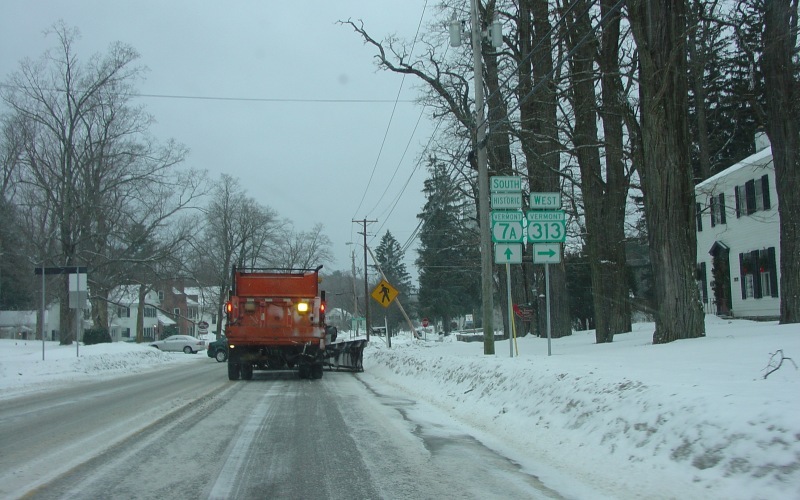 Following behind a snowplow in Arlington, VT, waiting to turn right onto VT 313. Photo taken December 26, 2003.